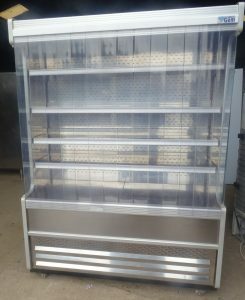 Ideal for a new startup outlet or small business, this Gem Multideck provides excellent refrigeration for grab-and-go produce. With 4 shelves, fluorescent lighting., this multideck is an efficient, straightforward product, and is mounted on swivel castors for easy maneuvering. All of our equipment is fully cleaned, serviced, and tested.